A total workout and breakdown of the fundamental mother skill of excellent singing – breath control. Learn about and improve diaphragmatic control, strength your support muscles and make your breath work more efficiently for you. Sing higher, lower, louder, longer, with greater expression and more confidence! Whether you are a novice, or experienced singer, work on supporting and breath control is always beneficial. This skill continues to develop, and this masterclass is a great way to push your boundaries, in a relaxing environment, to improve your technique. This is also a fantastic class for working back into your vocal fitness if you have been ill, or had a break from singing. 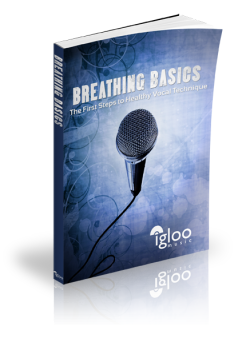 Gaining weight, losing weight, illness, pregnancy, vocal fitness and complacency all effect the efficiency of the breath, and this breathing masterclass brings you back to best practice and the fundamentals of healthy vocal production. This class can be repeated at any time.